Some short notices of St. Talmach are given by Colgan, at the 14th of March. At this same date, the Bollandists have even a briefer account. Some casual references to him, especially taken from an old Life of St Finnbarr of Cork, are all we have to draw from. St Talmach was born in the sixth century, as would seem most probable. We are left in the dark, however, regarding his parentage, family and place of birth. This saint appears to have received his ecclesiastical training under St. Barr, at Loch Erce, in the southern and maritime part of Ireland. He flourished in the commencement of the seventh century; and, he had a celebrated school, with many disciples, at the place, so called, in former times. Some have supposed, that Loch Eirce or Irc was identical with the present romantic lake known as Gougane-Barra, said to mean, "the hermitage of St Finbar", or "Finbar's rock-cleft". 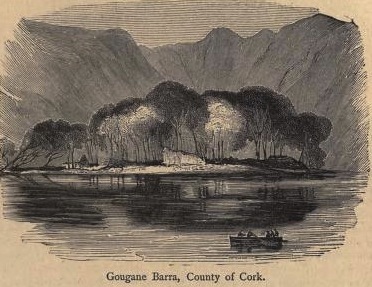 This retreat is justly esteemed one of the greatest curiosities, in the county of Cork; for, the lake lies embedded beneath vast and hoary perpendicular rocks, enclosing it around. The lake itself is almost circular, and comprises about 200 acres. The River Lee, being the Luvius of Ptolemy, takes its rise here. Shrubs and evergreens grow in the rock-clefts, which are scored throughout with deep fissures and water-courses. Colgan supposes, that our saint must have studied here, under St. Barr, in the time of Pope Gregory the Great, and either before or soon after his death, which occurred A.D. 604. 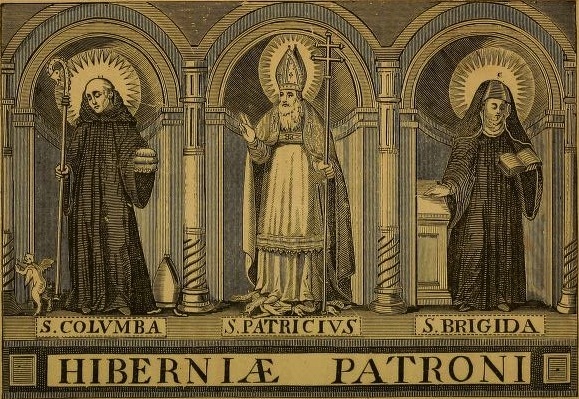 Having been distinguished for his virtues, in common with other fellow-disciples, under the same illustrious master, St. Talmach is said to have built a church, which became subject to St. Barr's government. Where this church had been erected, we have now no means left for determining. The date of St. Talmach's death is not known; but his Natalis was observed, on the 14th day of March, according to our Irish Martyrologists. Thus the name, S. Talmac, occurs in the Martyrology of Tallagh, as also in that if Marianus O'Gorman, where he is styled, a very meritorious and a rigorous virgin. Maguire does not forget to mark his commemoration, in a similar manner. We read, likewise, in the Martyrology of Donegal, about Talmach, as having a festival at this date. Little more is known, regarding this saint.